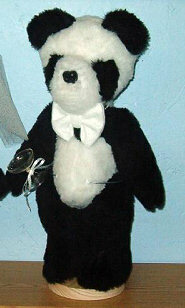 The fur pictured is: Panda (Black & White). See all available fur styles. The size pictured is: Panda, 16 inch. All bears come with an announcement of arrival.